HIGH BALL GLASS has straight sides which make the glass both elegant and versatile. The glass is used for a variety of cocktails served on the rocks as well as mixer combined liquor drinks like gin and tonic, but also for juice or plain water. 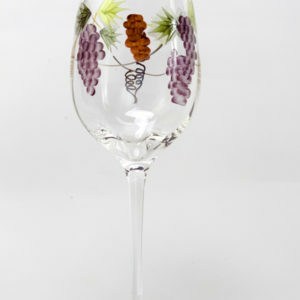 Your drink will look and taste better in this beautiful glass! 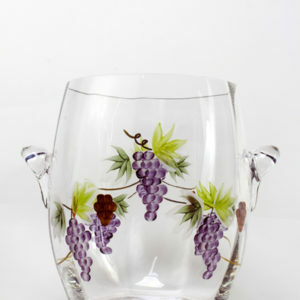 The entire pattern of grapes and leaves on each piece of glassware in this collection is etched with the finest detail and then hand painted separately in a painstaking process requiring a different person for each detail. 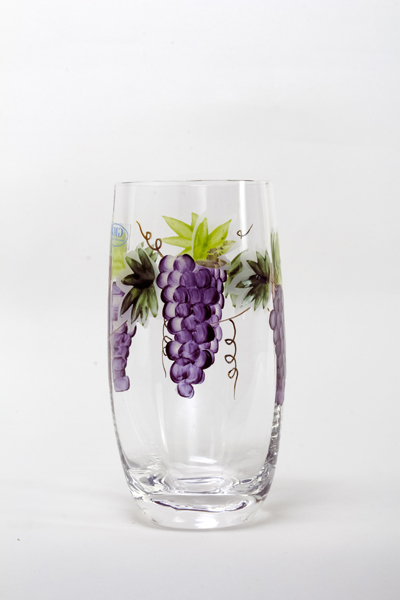 The stems of the grapes are painted with 24 carat gold paint.